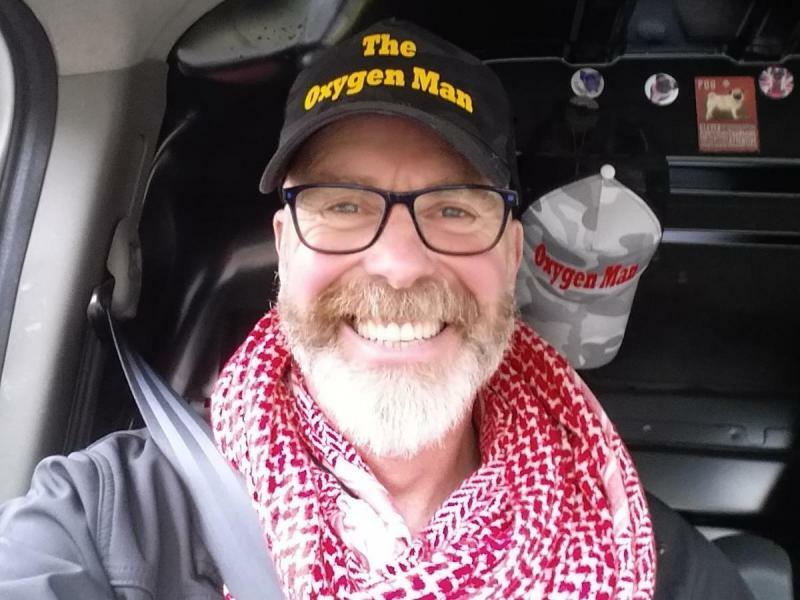 Neil Boast, our award winning, CH supporting oxygen man, will again be kayaking - this time with his friend Jeff Cribb - the gruelling, non-stop 125 miles from Devizes to Westminster in the world's toughest canoe race, known as the 'Everest of canoeing'. The race starts at Devizes...along the Kennet and Avon Canal to the Thames, before reaching the most dangerous part, the tidal Thames and the last 17 miles. There are 77 portage (locks) to negotiate when they get out and have to carry their double kayak. They will have two support teams who will provide them with food and drink. This is a non-stop race that Neil and Jeff hope to complete in under 24 hours. From Neil: "Whatever money we raise, BOC (my employer) will match. Nearer the time I will put a link so you can track us in the race (they fit location beacons on us in case we drown)"
Neil and Jeff training - they've already raised a huge amount! 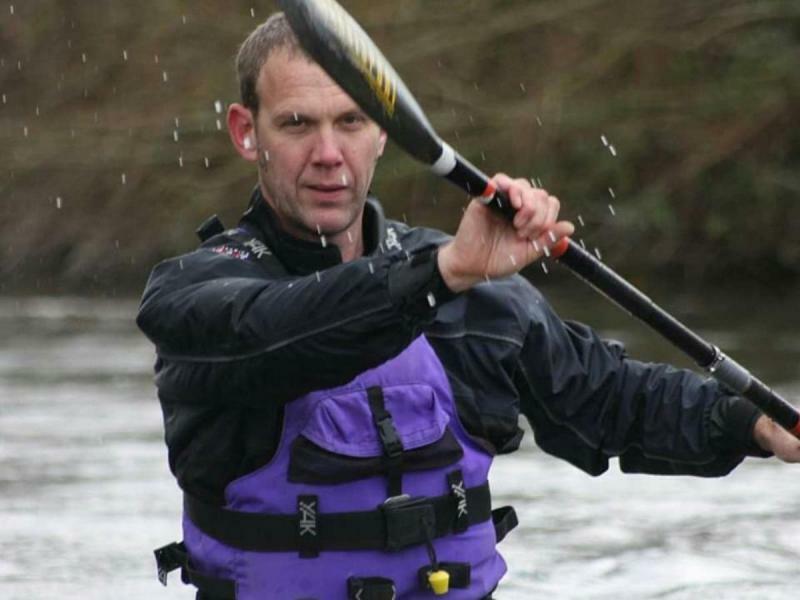 DEVIZES TO WESTMINSTER 125 MILE NON-STOP CANOE RACE Starts Friday, 19th April 2019 The update on this event is that unfortunately, Neil's partner Jeff has had to pull out of the race, due to injury. Neil is not giving up yet though...he is now looking at attempting the race solo, even though he has been battling with an injury himself. From Neil: "I've spent 2 years training to do a good time and I will be just devastated if I cannot do it, it's important to me". We'd like to thank Jeff for his efforts and also many thanks and all the luck in the world to Neil for his determination to carry on if humanly possible. What a guy. Let's all get behind him and wish him all the very best with it! What a fantastic guy! He's done so much to help us both in his work as an 02 engineer and as a supporter and fundraiser. Hope that you find a support person/team to help you achieve your goal, Neil. Devizes to Westminster Canoe Race. Sadly, despite Neil's stupendous efforts to battle through the pain of his shoulder injury, he had to pull out of the race. He's such a hero and we are so sorry as we know how much this meant to him. 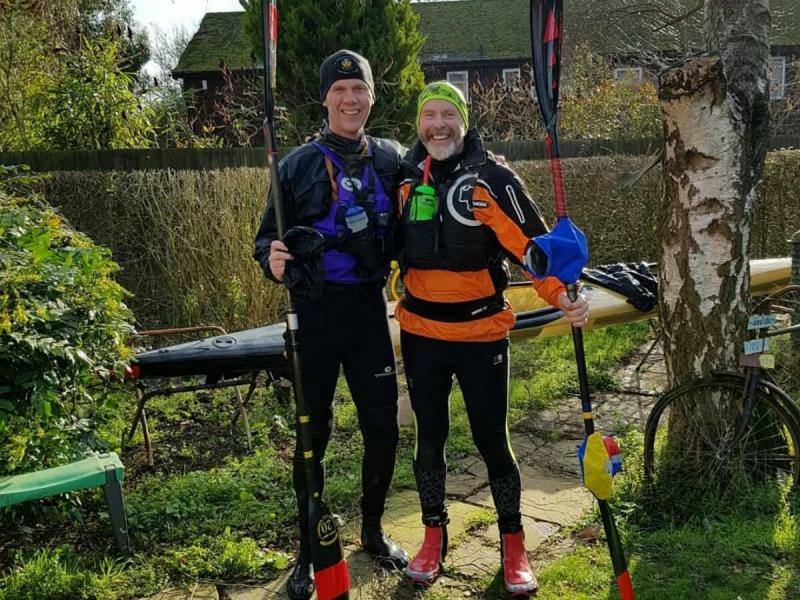 Neil's good friends Tim Beaver (who partnered Neil last time) and his partner Bill Playle are now paddling for OUCH on Easter Saturday. They are boat 307 so people can follow them. Many thanks to Tim and Bill, we truly appreciate this. Be proud Neil, we are grateful for all you do. 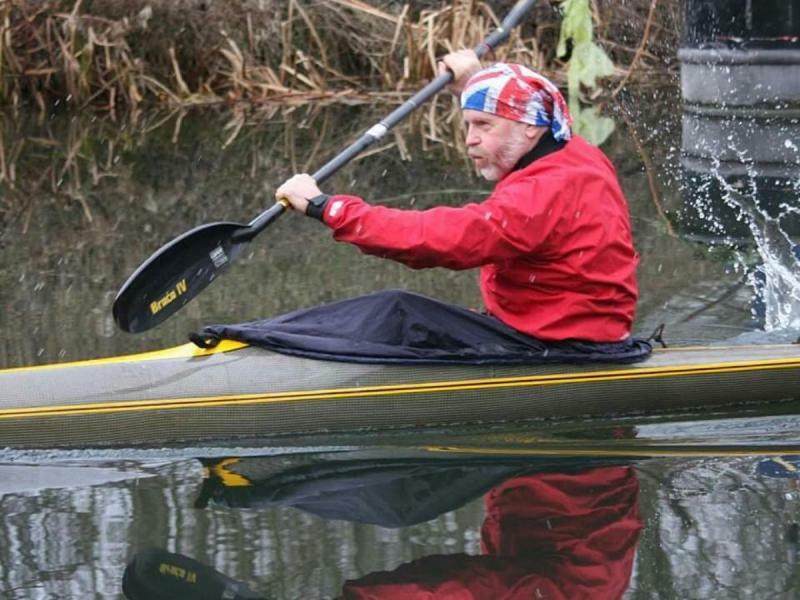 Devizes to Westminster - 125 miles non stop Canoe Race. 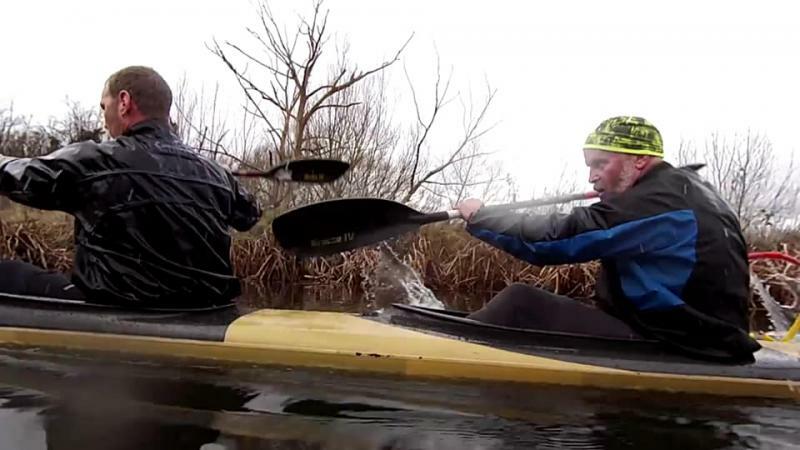 GOOD LUCK to Tim Beaver and partner Bill Playle paddling in the Senior Doubles for OUCH tomorrow, Easter Saturday. They are boat 307 if you want to follow their progress. Many thanks to Tim and Bill - and to Neil, who tried so hard to stay in the race. Thanks so much to all who have donated so far. 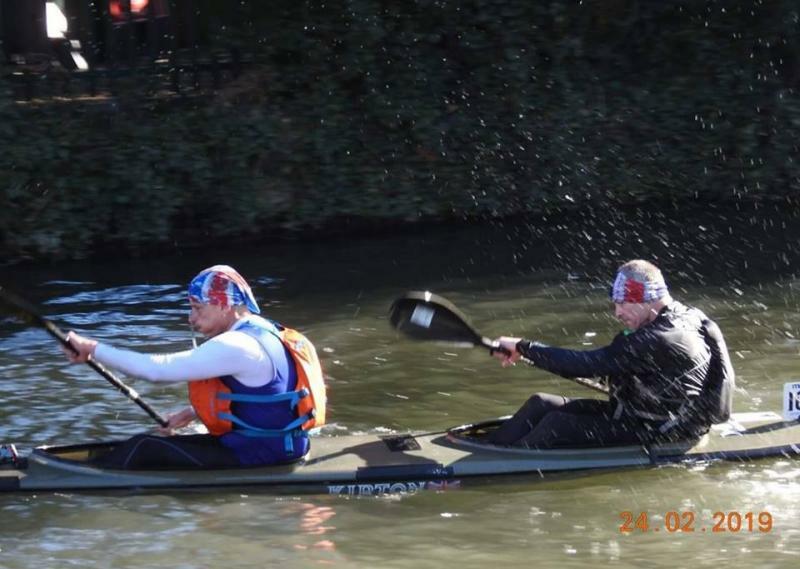 DEVIZES to WESTMINSTER canoe race TODAY! GOOD LUCK Tim Beaver, Bill Playle for OUCH(UK)! The boys have finished the race and came 15th overall. Tim's hands are shredded but they got there. What an achievement. Thank you Tim Beaver and Bill Playle. Legends!!! Many thanks to all who donated!